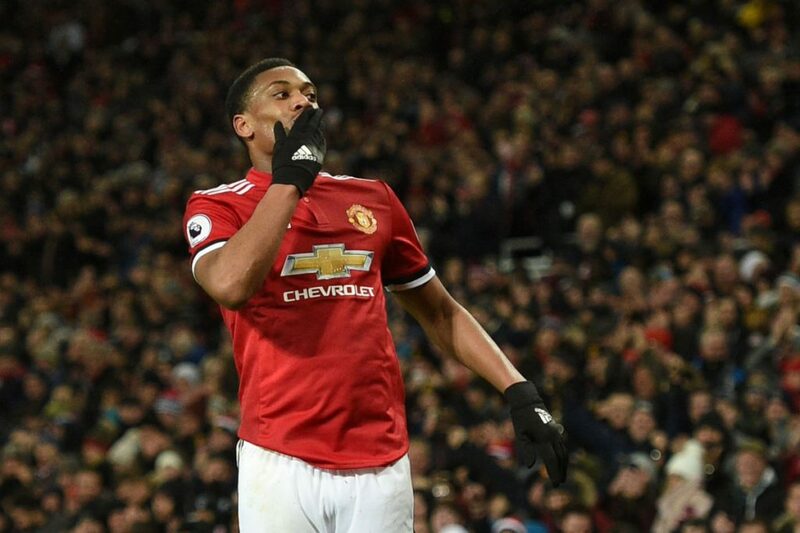 Manchester United ran out comfortable 3-0 winners over Stoke City at Old Trafford this evening to move three points ahead of Liverpool and Chelsea in second place in the Premier League, and reducing the gap to 12 points behind Manchester City. Antonio Valencia opened the scoring with a fine left-footed curler into the far corner inside the opening 10 minutes after receiving the ball from man of the match Paul Pogba. Anthony Martial doubled our lead in the 38th minute with a thumping first time effort into the top corner from 20 yards. Romelu Lukaku ensured the points in the final 20 minutes after receiving a powerful pass inside the penalty area, bringing it down and finishing low and powerful beyond Jack Butland. Made a couple of sharp saves to deny Stoke scoring under their interim manager. Fine save to deny Mame Biram Diouf in the final 10 minutes. However, David de Gea did look shaky under crosses early on, particularly under the presence of Peter Crouch. Scored an excellent curling effort with his left foot to open the score, offered good width down the right, though barely put a cross into the box. Defended comfortably against Erix Maxim Choupo-Mouting when the Cameroonian was out wide. A cracking block to deny Stoke an early goal after David de Gea failed to deal with a cross to the back post. Phil Jones was solid on his return to the first team, not allowing Stoke any real clear cut chances. Another clean sheet this season after a solid defensive display at the back. Xherdan Shaqiri provided the odd test for Luke Shaw who stood up to the test. The England international provided good width for us down the left. Ran the show in the middle of the park; involved in everything. Setup Valencia and Martial’s goals in the first half whilst created several other chances. Showed some great touches and Paul Pogba’s presence often felt like we had an extra man on the pitch. A much more comfortable evening on the pitch for Nemanja Matic. Stoke City threatened on occasion in the opening half hour but after that we dominated the game. An excellent display down the right, creating a couple of chances though failed to take a couple of good chances himself. Linked up well with Jesse Lingard. May be disappointed not to be among the goals as Jesse Lingard created a couple of chances, mostly for Juan Mata. There were a couple of poor touches in the final third though that slowed down our attacks and opportunities. Stunning finish to make it 2-0 in the first half. Anthony Martial linked up well with the rest of the attack but surprisingly didn’t try to take on new signing Moritz Bauer as much as expected. A very good performance from the Belgian this evening which was capped off with a powerful finish for his 11th Premier League goal of the season. Romelu Lukaku worked the flanks, held the ball up well and got among the goalscorers. Marcus Rashford (11 mins) N/A – Continued his run of featuring in every game in all competitions for us this season. Saw a cheeky flick saved by Jack Butland at his near post and failed to fully connect with the ball for a chance in the final minute. Marouane Fellaini (11 mins) N/A – Another late run out after making his return from a lengthy lay off versus Derby County last Friday. Scott McTominay (7 mins) N/A – The youngster got a late run out to give Juan Mata a standing ovation and a late rest.